Landos Biopharma is a clinical stage biopharmaceutical company focused on the discovery and development of first-in-class oral therapeutics for autoimmune diseases targeting the novel lanthionine synthetase c-like 2 (LANCL2). 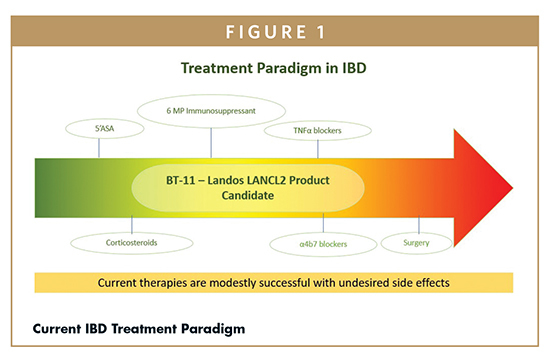 Landos developed a lead clinical asset, BT-11, which affects the pathway by suppressing inflammation and activating regulatory responses in the gastrointestinal tract for treatment of inflammatory bowel disease (IBD). Current IBD therapeutics have mediocre efficacy, poor maintenance of response and damaging side effects, including cancer, infection, and death. There is an unmet clinical need for safer and more effective oral therapeutics for IBD. The new mechanism of action, benign safety profile, and agile management models have accelerated the development of BT-11 and other therapeutics in the Landos pipeline in the path to market. IBD afflicts over 2 million people in North America and 5 million worldwide. Intestinal inflammation – ulcerative colitis (UC) and Crohn’s disease (CD) – increases the risk for developing colon cancer, especially at early ages (<30 years).1 IBD carries a significant burden to patients, often isolating them socially and limiting their professional opportunities.2 IBD patients have a higher rate of nonparticipation in the labor force.3 The global IBD therapeutics market, about $10 billion in 2015, according to Global Industry Analysts, is growing 25% annually. Even though current treatments for IBD have improved, they have only modest success in managing chronic disease; many cause significant side effects (eg, infection, cancer, and death).2,4 This article will focus on the development of BT-11 as a first-in-class, oral, gut-restricted therapeutic for UC and CD. An important distinguishing factor between UC and other forms of IBD is that UC affects only the mucosal lining of the colon, as opposed to all layers affected in CD. There are four general types of UC ulcerative proctitis, proctosigmoiditis, distal (left-sided) colitis, and pancolitis colitis.12 Seventy percent of patients who have active disease in a given year will have another episode of active disease in the following year. However, this chronic illness can vary widely over time in severity and disease activity for example, 35% of patients will have one or two yearly relapses, and 11% will remain chronically active for their lifetime. Patients with less severe forms of UC typically undergo 5-animnosalicylic acid (5-ASA) treatment coupled with antibiotics to reduce the general levels of bacteria in the gut and close monitoring of nutrition. Patients that stop responding to 5-ASAs or have a more severe form will take corticosteroids or immunomodulators to suppress the immune system and decrease inflammation. The most severe patients will use biologics such as TNF-α inhibitors as well as surgery when all other medical therapies fail and continuity of the bowel needs to be restored. Treatment failure occurs in approximately 25% of patients receiving aggressive biologics for unknown reasons. Patients with failed biologic treatment plans have only 30% success rate using alternative medications. 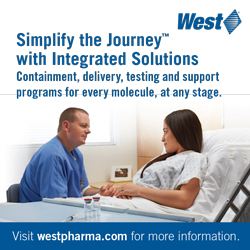 Moreover, biologics have been associated with increased rates of cancers, infections, and death. Further, the most prevalent treatment, anti-TNFα antibodies with a 68% market dominance, are only effective within 30% of IBD patients.13 Despite these treatments, an estimated 70% of CD patients and one-third of UC patients still require surgery. Thus, development of innovative IBD oral therapeutics is needed to address this unmet clinical need. 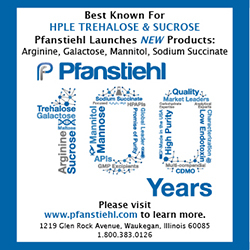 Our discovery work began with the identification of anti-inflammatory and metabolic properties of abscisic acid (ABA), an isoprene phytohormone that is also endogenously produced by mammals. As a naturally occurring phytochemical in fruits and vegetables, dietary consumption of ABA improves glycemic control and can contribute to regulating stress responses. After studying the effects of ABA, we identified LANCL2 as the mammalian receptor for ABA from in silico molecular docking experiments validated with in vitro studies.14 This systemic activity of ABA, the natural ligand of LANCL2, (included within liver, pancreas, and brain) and its generally recognized as safe (GRAS) classification supported the assertion that LANCL2 is a therapeutic target with a low risk for side effects.15 Through an extensive pipeline of computational modeling, protein biochemistry, in vivo experiments in animal models, and ex vivo experiments on human cells, LANCL2 was established as a robust drug target for therapeutic development in autoimmune diseases. Based on protein sequence alignment, human and mouse LANCL2 share 88% identity and 94% similarity. Importantly, no amino acid differences are noted within the identified ligand-binding pocket and no shifts in binding pocket structure are predicted, suggesting viable translation of engagement and efficacy from mouse to human. No genetic mutations in the LANCL2 sequence have been associated with a susceptibility to IBD suggesting that LANCL2 is a stable target for pharmacological activation. We developed a medicinal chemistry program around the LANCL2 target, including a library of over 3 billion novel chemical entities (NCEs) and 48 privileged scaffolds.16 The medicinal chemistry enabled optimization of top chemotypes and resulted in the selection of piperazine-1,4-diylbis((6-(1H-benzo[d]imidazo-2-y)pyridin-2-yl)methanone) (BT-11) as the top LANCL2-activating molecule. BT-11 is a piperazine that belongs to a unique chemotype; bis((benzimidazoyl)arylcarbonyl)amides. BT-11 has a lower ClogP (3.93 to 6.78), fewer rotatable bonds (4 to 6), lower MW (528 to 548), greater polar surface area (123 to 116), and smaller total surface area (700 to 719) than other NCEs in that class.17 After validating the LANCL2 binding affinity and specificity, BT-11 was proven efficacious in five mouse models of IBD spanning chemical injury (DSS), genetic (MDR1a-/-, IL10-/-), bacterial (C. rodentium), and cellular (CD4+ T cell adoptive transfer) models of disease induction.18 IBD is a multi-factorial human disease that is not easily captured in a single animal model due to its spontaneous onset and flares, complex interactions between the environment, gut microbiome, diet, and genetics and overall patient-to-patient variability. Despite this, the nonclinical evaluation of investigational therapies often relies solely on the use of one or two specialized models. The combination of these five models provides a robust in vivo system to evaluate the therapeutic efficacy of BT-11 in a variety of scenarios involving genetics, immune cells, epithelial cells, and interactions with gut microbiome that enhance confidence of clinical success in Phase 2 and Phase 3 studies. LANCL2 activation by BT-11 is a novel therapeutic mechanism in IBD19 based on four observations — (1) potential to pharmacologically manipulate LANCL2 expression and activation via BT-11, (2) selectivity of BT-11 for LANCL2 as shown by loss-of-function studies in LANCL2 knockout mice and translational siRNA studies in human primary cells from UC/CD patients, (3) potent therapeutic actions of BT-11 in IBD with limited systemic exposure, fast clearance and an excellent safety profile up to 1,000 mg/kg, and (4) high potential for human translation based on PBMC and LPMC data from CD and UC patients.17-19 Activation of LANCL2 with BT-11 has validated beneficial immunological effects in primary human cells from blood and colonic biopsies of CD and UC donors. LANCL2 expression has been implicated in disease with reduction in expression occurring during periods of inflammation. However, the administration of BT-11 has been identified to rescue suppressed LANCL2 expression. The LANCL2 pathway, validated in five IBD mouse models and human tissues from CD and UC patients, is an innovative MoA, and a therapeutic target for UC and CD. Through LANCL2 activation, BT-11 has unique immunometabolic mechanisms of action. LANCL2 has a confirmed G-protein coupled signaling pathway with regulation of the signaling molecules PKA, Akt, and mTORC2.20,21 This pathway results in a net increase of intracellular cAMP leading to activation of the transcription factor CREB which directly modulates cytokine production, a mechanism confirmed to be part of the BT-11 MoA.17 The resultant upregulation of IL-10 and downregulation of MCP1 and TNFα are cornerstones of BT-11 efficacy in models of IBD. Further, we have recently elucidated effects of BT-11 on late-stage glycolysis of immune cells.18 The activation of LANCL2 by BT-11 leads to the upregulation of pyruvate dehydrogenase (PDH) activity. With this upregulation, intracellular concentrations of the PDH substrate, phosphoenolpyruvate (PEP), are decreased in mouse and human cells.18 In addition to its metabolic function as a glycolytic intermediate, PEP is an inhibitor of SERCA, a regulator of calcium signaling and FOXP3 activity. When either PDH activity or SERCA are inhibited through PS-48 and thapsigargin, respectively, the ability of BT-11 to stimulate FOXP3+ IL10+ CD4+ cellular differentiation is blocked. Importantly, the administration of PS-48 to MDR1a-/- mice abrogates the therapeutic efficacy of BT-11 in mice with IBD.18 This immunometabolic regulation of FOXP3 allows BT-11 to induce stable populations of Tregs that have enhanced suppressive capacity as evidenced by the decreased proliferation and production of inflammatory cytokines in CD4+ T cells co-cultured with BT-11 treated Tregs.18 Notable genes integral to the function of Treg cells are increased downstream of FOXP3 in response to BT-11 such as Socs2, Lag3, Helios, and Irf7. These genes allow for the retention of contact-mediated suppression even in inflammatory microenvironments of the GI tract. BT-11 has a multi-faceted mechanism of action with actions on the modulation of immune cell metabolism and favoring regulatory CD4+ T cell phenotypes. The dual nature of BT-11 in actively reducing inflammatory signaling while increasing regulatory signaling is a key competitive advantage compared to anti-TNFα, tofacitinib, antiintegrins and other IBD therapeutics, which soley focus on inhibiting inflammation through a single or small group of molecules. In addition to potent therapeutic efficacy, BT-11 is a resoundingly safe oral small molecule. PK and bioavailability studies have established that oral administration of BT-11 results in low plasma concentration and systemic distribution with rapid clearance while retaining a high concentration in the GI mucosa (>10,000-fold increases in colonic tissue compared to plasma). BT-11 has been dosed orally in fed and fasted states with no observable differences in plasma concentrations. These profiles indicate the potential for lesser systemic immune effects in combination with high efficacy in reducing inflammation in the GI tract. Indeed, BT-11 has a low potential for side effects and safety concerns. Through IND-enabling studies, BT-11 has a consistent NOAEL >1,000 mg/kg in 3-month GLP-tox studies in rats and dogs and in cardiovascular, respiratory, and central nervous system safety pharmacology studies. BT-11 is non-mutagenic based on Ames, chromosomal aberration, and micronuclei tests. In microsomes and hepatocytes, BT-11 is not metabolized and does not act as a CYP enzyme inhibitor. Additional analysis of urine concentrations supports this claim of a lack of metabolism as similar concentrations of BT-11 are observed in both urine and plasma. While the localization of BT-11 to the GI benefits dosing by allowing a high concentration of therapeutic directly at the site of inflammation, this robust safety data at >100 times the therapeutic dose suggest very low risk of side effects should systemic exposure occur. Additionally, colonic concentrations of BT-11 exceed plasma concentrations by > 10,000-fold. We have examined the route of administration to validate the need for local GI action. In the DSS model, both oral and rectal administration were protective, but IV administration failed to protect from IBD (8 mg/kg) suggesting high GI concentrations are necessary and sufficient to support therapeutic efficacy. The clean safety profile and defined efficacy in non-clinical studies led to the opening of two INDs with the FDA for UC (138071) and CD (128490) in Q2 2018. Following the successful filing of two INDs for BT-11, a Phase 1 clinical testing program began in normal healthy volunteers in July of 2018. The study was conducted on 70 male and female volunteers between the ages of 18 to 65 years and weights of 65 to 85 kg. Participants were validated for no clinically significant abnormalities at screening and consented for the study procedures, including administration of BT-11, collection of PK and PD blood samples, ECG, collection and analysis of urine and feces, and routine safety labs. Participants were confined and monitored over the active dosing period and one day after the final dose (2 total days Single Ascending Dose, 8 total days Multiple Ascending Dose). The final report on safety of BT-11, including presentation of adverse events, pharmacokinetic data, and generic safety labs, was available at the end of 2018. 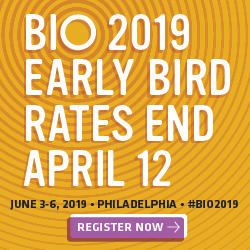 The short-term programmatic vision focuses on advancing BT-11 for treatment of IBD along the development pathway toward Phase 2 human clinical trials, followed by Phase 3 studies and a path to New Drug Approval (NDA). Phase 2 studies in UC and CD are on-going in 2019. 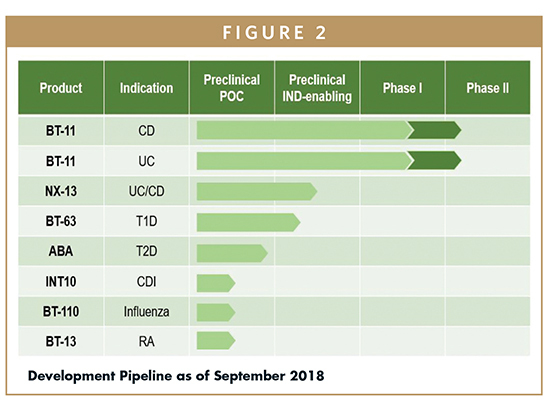 Landos has built an expansible pipeline of oral therapeutics based on the LANCL2 and other immunoregulatory pathways for Type 1 Diabetes, Rheumatoid Arthritis, Systemic Lupus Erythematous, and Multiple Sclerosis. Given the emergence and global spread of autoimmune diseases, the LANCL2 technology has the potential to significantly impact millions of patients with an unmet clinical need, creating enormous value for the medical/patient community. Landos Biopharma’s drug candidates described in this article are investigational and undergoing clinical evaluation required by the US FDA for NDA submission. None of the product candidates are approved for commercial distribution in the US or elsewhere. Spunt, S., et al., Cancer Epidemiology in Older Adolescents and Young Adults 15 to 29 Years of Age, in SEER AYA Monograph. 2008, National Cancer Institute: Bethesda, MD. p. 123-133. 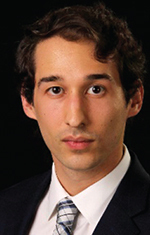 Lichtenstein, G.R., M. Abreu, and D. Present, Recent advances in the treatment of Crohn’s colitis. 2003, The center for health care education, LLC. Marri, S.R. and A.L. Buchman, The education and employment status of patients with inflammatory bowel diseases. Inflamm Bowel Dis, 2005. 11(2): p. 171-7. Camilleri, M., GI clinical research 2002-2003: The year in review. Clinical Gastroenterology and Hepatology, 2003. 1: p. 415-420. Ordas, I., et al., Ulcerative colitis. Lancet, 2012. 380(9853): p. 1606-19. Van Klinken, B.J., et al., Sulphation and secretion of the predominant secretory human colonic mucin MUC2 in ulcerative colitis. Gut, 1999. 44(3): p. 387-93. Silverberg, M.S., et al., Ulcerative colitis-risk loci on chromosomes 1p36 and 12q15 found by genome-wide association study. Nat Genet, 2009. 41(2): p. 216-20. Davis, B.K., et al., Emerging significance of NLRs in inflammatory bowel disease. Inflamm Bowel Dis, 2014. 20(12): p. 2412-32. Heller, F., et al., Interleukin-13 is the key effector Th2 cytokine in ulcerative colitis that affects epithelial tight junctions, apoptosis, and cell restitution. Gastroenterology, 2005. 129(2): p. 550-64. Masuda, H., et al., Expression of IL-8, TNF-alpha and IFN-gamma m-RNA in ulcerative colitis, particularly in patients with inactive phase. J Clin Lab Immunol, 1995. 46(3): p. 111-23. Wang, X., et al., The shifted balance between circulating follicular regulatory T cells and follicular helper T cells in patients with ulcerative colitis. Clin Sci (Lond), 2017. 131(24): p. 2933-2945. Bitton, A., Medical management of ulcerative proctitis, proctosigmoiditis, and left-sided colitis. Semin Gastrointest Dis, 2001. 12(4): p. 263-74. Abreu, M.T., Anti-TNF failures in Crohn’s disease. Gastroenterol Hepatol (N Y), 2011. 7(1): p. 37-9. Lu, P., et al., Computational modeling-based discovery of novel classes of anti-inflammatory drugs that target lanthionine synthetase C-like protein 2. PLoS One, 2012. 7(4): p. e34643. Zocchi, E., et al., Abscisic Acid: A Novel Nutraceutical for Glycemic Control. Front Nutr, 2017. 4: p. 24. Bassaganya-Riera, J., et al., Lanthionine synthetase C-like 2-based therapeutics, USPTO, Editor. 2016, BioTherapeutics: USA. Bissel, P., et al., Exploratory Studies With BT-11: A Proposed Orally Active Therapeutic for Crohn’s Disease. Int J Toxicol, 2016. 35(5): p. 521-9. Leber, A., et al., Activation of LANCL2 by BT-11 Ameliorates IBD by Supporting Regulatory T Cell Stability Through Immunometabolic Mechanisms. Inflamm Bowel Dis, 2018. Lu, P., et al., Lanthionine synthetase component C-like protein 2: a new drug target for inflammatory diseases and diabetes. Curr Drug Targets, 2014. 15(6): p. 565-72. Zeng, M., W.A. van der Donk, and J. Chen, Lanthionine synthetase C-like protein 2 (LanCL2) is a novel regulator of Akt. Mol Biol Cell, 2014. 25(24): p. 3954-61. Misra, U.K. and S.V. Pizzo, Coordinate regulation of forskolin-induced cellular proliferation in macrophages by protein kinase A/cAMP-response element-binding protein (CREB) and Epac1-Rap1 signaling: effects of silencing CREB gene expression on Akt activation. J Biol Chem, 2005. 280(46): p. 38276-89. Dr. Andrew Leber is the Scientific Director of Landos Biopharma, where he has led research crossing many disciplines from immunology and inflammation to bioinformatics and computational modeling of immunometabolism. Across all of these disciplines, his work is united under the common theme of identifying novel regulatory pathways and means of activating these pathways for the understanding and treatment of autoimmune and infectious disease. Dr. Leber has contributed significantly to the advancement of BT-11 from preclinical to clinical stage and the expansion of the Landos Biopharma drug development pipeline. 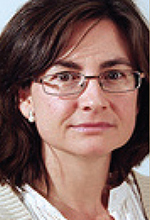 Dr. Raquel Hontecillas is the Chief Scientific Officer of Landos Biopharma. She has 20 years of translational research experience in the biotech industry focusing on infectious, autoimmune, and metabolic diseases. She has identified and validated the role of LANCL2 as a therapeutic target for diabetes and IBD. She managed a $56-million translational R&D program in mucosal immunology centered on the identification of novel immunoregulatory mechanisms during infectious and autoimmune diseases and contributing to the development of novel IBD therapeutics. Dr. Josep Bassaganya-Riera is the Chairman and Chief Executive Officer of Landos Biopharma. He has 20 years of R&D, business development, fundraising, and entrepreneurial business experience leading biotech companies with innovative, large-scale translational programs in autoimmune and infectious diseases. He has published over 150 peer-reviewed publications, holds numerous patents, has founded three award-winning companies (Landos Biopharma, BioTherapeutics, and Pervida), raising over $78 million in non-dilutive and equity financing rounds, and was recently named 2017 Innovator of the Year. In 2018, he received the Research Excellence Award from Virginia Tech, and Pervida was named Technology Company of the year by the Chamber of Commerce. He is a captain of industry, innovator, serial entrepreneur, and thought leader in biotech. 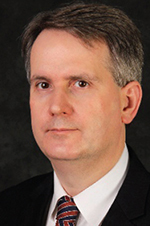 He applies advanced informatics, computational modeling, and systems biology approaches to accelerate the development of innovative technologies into medicines that are safer and more effective.